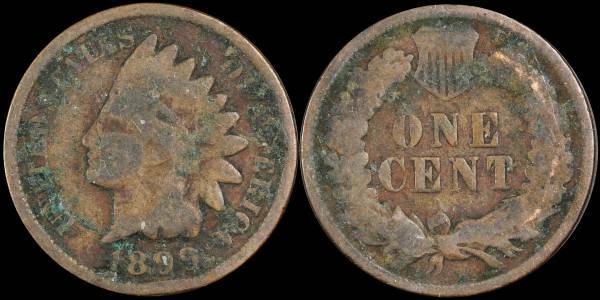 An 1899 Indian Head Cent that is a CULL. It has green environmental damage. Ugly coin.